Wout Zweers is a Dutch fine artist and designer. Valerie Zwart is British-Canadian artist. and Onno Bokhove is a mathematician. The sculptures were conceived and created by as part of a collaboration between Zweers, Zwart and Bokhove on a paper entitled Making Waves: Visualizing Fluid Flows.To create the sculptures, a film was made of splashes in a wave channel at the University of Twente, and the individual stills were extracted. Outlines from a chosen set of stills were then traced by hand before being modelled into three-dimensional works. 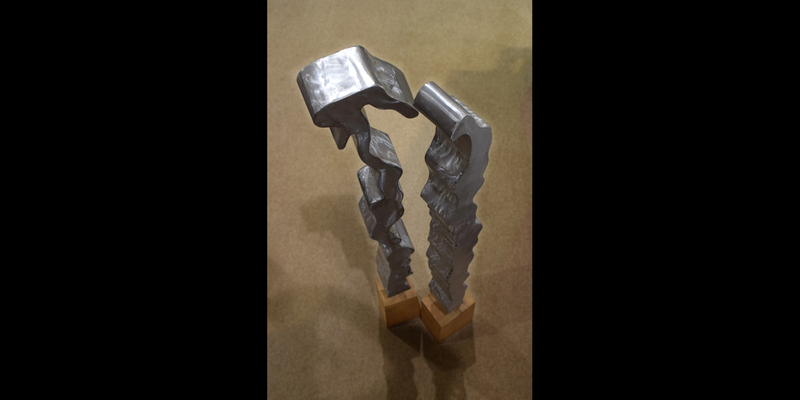 In addition to these steel sculptures, models in foam, wood and perspex were also made as part of the project. As a result of their collaboration they aimed to inspire future research in the areas of mathematics and fluid dynamics, as well as innovations in art and design. 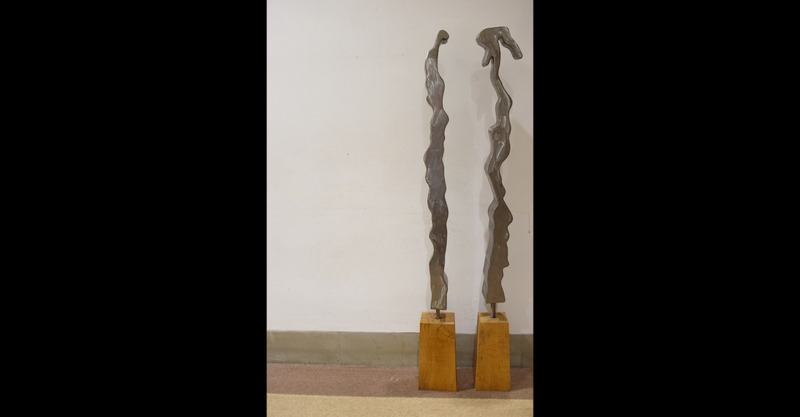 The sculptures were donated to the Institute by the Stichting Free Flow Foundation.